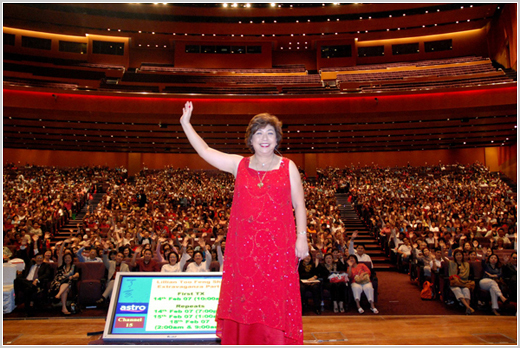 Kuala Lumpur – Lillian Too's Feng Shui Extravaganza was held at the Plenary Hall, Kuala Lumpur Convention Centre on 21st January 2007. 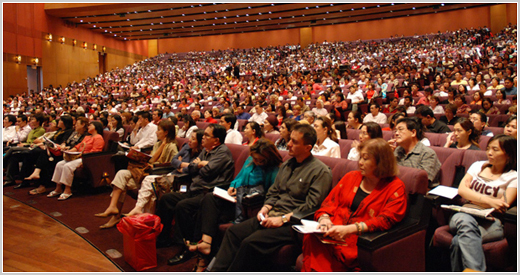 There were 2,000 plus eager feng shui practitioners waiting to find out what was in store for them in the Year of the Fire Boar from the early hours of the event. 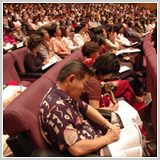 This year the participants received a specially produced booklet containing information about the coming year and special rituals one can do during the Chinese New Year to ensure a prosperous year ahead, with space to take notes. 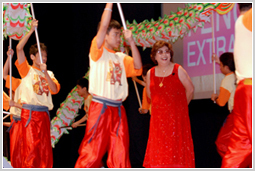 During the intervals, the participants kept themselves busy at the shopping booths, buying books, accessories and most importantly feng shui cures and enhancers for the coming year. At the end of the day, Lillian answered questions and signed book for her fans. 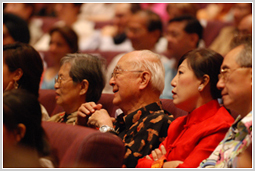 For more information on the event, please click here .